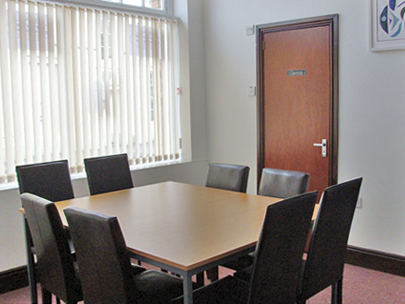 We have a meeting room available to hire. It is ideally suited for meetings or training purposes. It can comfortably seat 8 people boardroom style. There is a public car park situated adjacent to our office building.